English goth-rock legends The Cure is about to celebrate 40 years of being a band. 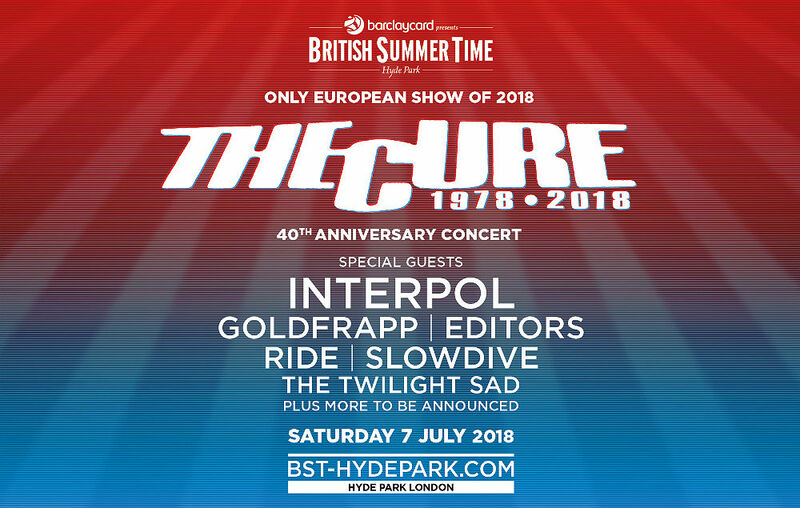 Robert Smith and company have revealed a massive headlining show to commemorate the special occasion in 2018 which will take place at London’s Hyde Park. The show is slated to be the group’s only European show of next year, but the band is making it count. The festival will feature an outstanding group of performers who have been influenced by the Cure. These supporting acts include Interpol, Goldfrapp, Slowdive, Ride, the Twilight Sad, and Editors. They will all perform and help commemorate the Cure’s “40 imaginary years” on Saturday, July 7, 2018. 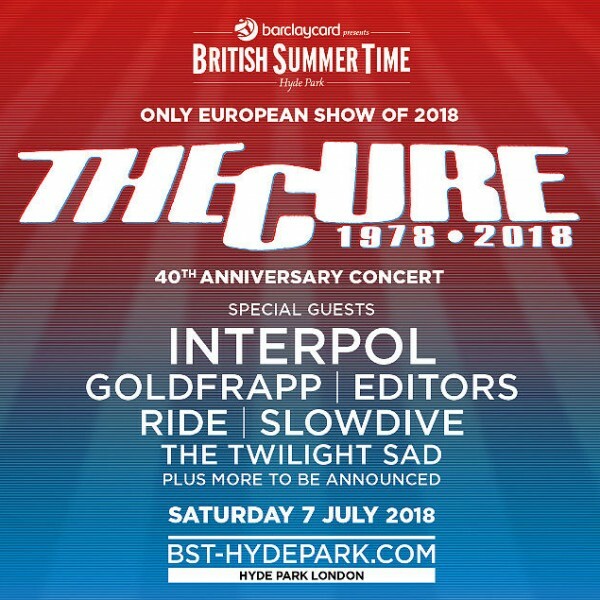 This special event is part of the British Summer Time Hyde Park festival series, and more opening acts are still yet to come. The celebration is being promoted as the band’s only European show in 2018 making it an engagement not to be missed. According to the Cure’s main website, the group will play a 2-hour-long set. This important performance will go down July 7th, and general tickets will go on sale at the end of the week with a pre-sale beginning today, Dec. 12. Not only is the band celebrating their 40th year together, but the year marks the ten years since they released their most recent studio album 4:13 Dream. The Cure formed back in 1976 in Crawley and is considered one of the seminal bands of the 1980s and 1990s. Their songs have continued to be the cure for any situation, bad or good and will never wear out any playlist. They released their first EP called Killing An Arab in 1978 and since then have made 13 studio albums and sold 30 million records. Their current line up is Robert Smith (voice and guitars), Simon Gallup (bass), Jason Cooper (drums), Roger O’Donnell (Keyboards) and Reeves Gabrels (guitars). This concert will mark the band’s first show in the UK since their residency at London’s SSE Arena Wembley last winter.